Senate Intelligence Committee Chairman Richard Burr (R-NC) had some choice words for security credential-deprived former CIA Director John Brennan. In a statement on Thursday, Burr essentially told Brennan to put up or shut up on the topic of Trump-Russia collusion. "Russian denials are, in a word, hogwash," Brennan wrote on Thursday in the New York Times' opinion section. "Mr. Trump's claims of no collusion are, in a word, hogwash." The former top brass at the CIA had his security clearance revoked by President Trump on Wednesday over what the White House called "risks posed by his erratic conduct and behavior." Burr fired back swiftly, saying, "Director Brennan's recent statements purport to know as fact that the Trump campaign colluded with a foreign power." If Brennan "has some other personal knowledge of or evidence of collusion, it should be disclosed to the Special Counsel, not The New York Times," he said. Burr wondered whether the former chief spy's assertion was based on intelligence he received while still working at the CIA. If so, "Why didn't he include it in the Intelligence Community Assessment released in 2017?" the senator wondered. Moreover, would leaking intelligence assessments not constitute disclosure of classified information pertaining to an ongoing investigation, one must wonder? On the other hand, if Brennan got the supposed information after leaving the CIA, "it constitutes an intelligence breach," Burr wrote. Lastly, Burr addressed the possibility that Brennan had no inside information at all. "If, however, Director Brennan's statement is purely political and based on conjecture, the president has full authority to revoke his security clearance as head of the Executive Branch," the chairman concluded. The CIA once spied on the Senate Intelligence Committee "at the behest of" Brennan, according to the New York Times. 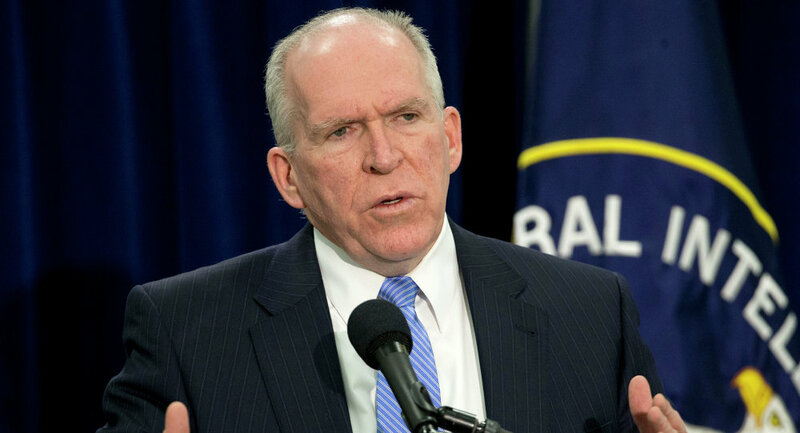 Brennan had previously said that those claiming the CIA had hacked the committee "will be proved wrong" Brennan told the Council on Foreign Relations. Burr has sat on the committee since 2007 and has chaired it since 2015. Almost all of the former director's 51 tweets are about Trump — or in response to a Trump policy — or Special Counsel Robert Mueller's investigation.